Incorporated in 2012, we, Sevendotz Building Solutions Pvt Ltd, are among the leading suppliers and trader of a wide range of Sanitaryware and Interior Furnishing Products. 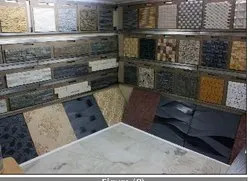 The range we offer includes Solid Surface Materials, Laminate Wooden Flooring, and Natural Stone Tiles. Within a short span of time, we have been able to establish a strong foothold in the industry by offering products of unparalleled quality. Our products are aimed at fulfilling the diverse requirements of the customers. 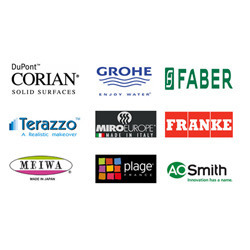 These products are sourced from well-known manufacturers, who incorporate cutting edge technology and premium quality materials in their manufacturing process. We are backed by a state-of-the-art facility that enables us to carry out our operations smoothly. Our facility primarily comprises of warehousing unit and logistics department. Our warehouse is capacious and is compartmentalized appropriately to enable systematic storage of all the products. Due care is taken to ensure that it is free from any damaging factors, in order to provide optimum protection to the products. 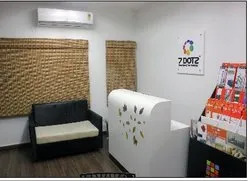 Our facility is efficiently managed by our team of dexterous professionals, who are committed towards the timely achievement of organizational objectives. All these individuals have been meticulously chosen based on their experience and attitude. We are a private firm, functioning under the esteemed guidance of Mr. Kumar Sekar, who through his brilliant leadership skills has taken the organization far. We are focused upon expanding our presence in the industry, within the coming few years. We have a team of self-motivated professionals, who are driven to perform to the best of their abilities. All our professionals have been handpicked after carefully considering their qualifications, experience, and qualifications. These individuals make all possible efforts to understand the diverse requirements of the customers and stay updated with the prevailing market trends, so as to stay ahead in the race. In order to encourage them to work to the best of their abilities, we provide them a conducive work environment. Being a quality-oriented organization, we endeavor to offer uncompromised quality products to our clients. For the same, we have associated with genuine vendors of the industry, who develop products in compliance with international quality standards. Additionally, the procurement managers visit the vendors’ manufacturing site to check their manufacturing and quality testing procedures. Our products are carefully stacked at the warehousing facility in order to avoid scratches or cracks on their surface. Within a limited period of time, we have established a vast vendor base. We evaluate these vendors on several parameters like their financial condition, the quality of their products, their market reputation, etc, before forging any association with them. We make their optimum quality products available to the customers in the most cost effective manner possible. Through our efficient operations, we bridge the gap between the manufacturers and the customers. We believe in maintaining long-term, mutually beneficial relationships with our vendors.